Below are some frequently asked questions from our customers. If any of your questions are not addressed here, please contact us and we would be happy to help you. What kind of oil does a Howden Roots Blower take? Roots recommends using Roots Synfilm GT 220 ( available from R&M Equipment ). Please see our blog with a video on how to properly lubricate your blower. What kind of grease should be used in a Howden Roots blower? Howden Roots recommends using Shell Gadus 1000 grease in blowers requiring grease (do not use lithium or soap based greases). Can you repair my blower? Will my Muncie order ship today? 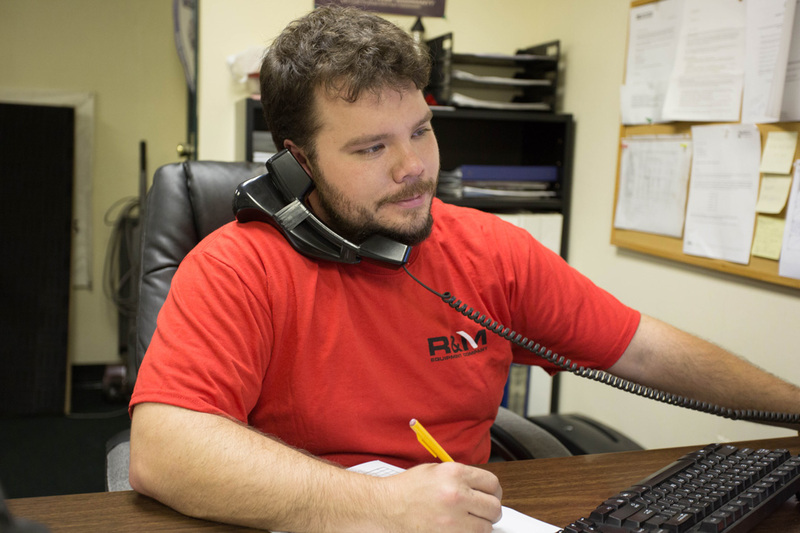 If all Muncie parts ordered are in stock at R&M Equipment facility in Spring City PA, and the order is received by 4 PM, the order will ship that day. I do not have an account with R&M Equipment Company, how can I make a purchase? You can pay with a cash, credit card or UPS COD. Also you can fill out our credit application. What info do I need when ordering a PTO? We need the following info to select the proper PTO; transmission make and model, driver or passenger side, % of engine speed desired, shift options desired, and output shaft options (direct or remount mount). Can you rebuild by PTO or pump? Yes, we have fast turnaround time of both PTO and pump repairs.